It doesn't happen very often, but sometimes I just don't have anything to say or write. I have a lot of thoughts running around in my head, but can't seem to sit down and focus long enough to put them to paper...or in this case, a computer screen. This week has been busy with my girls school work, volunteering, cabbing the kids around to extracurricular activities and finishing up a few home improvement projects. When I actually get those few minutes to hop on the computer, someone in my house, says screams, "MOOOOOOOOM! Come here!". It's life, people. I don't hate it. Long story short, I really haven't had a chance to sit down, collect my thoughts or prepare a quality blog post. In all honesty, it's actually been the last thing on my priority list. Don't get me wrong, I love blogging, enjoy interacting with everyone, sharing fun fashion and outfit ideas, but "real life" has consumed most of my attention lately; as it should. In the meantime, fall outfit inspiration on this first day of October is about as good as it's going to get today. I sincerely hope you ladies understand. I am pretty sure we have all been there a time or ten. Thanks for hanging in there with me. Oh my I can totally hear you loud and clear on that Shanna - and it's absolutely fine! Real life should always take precedence over anything else and wishing you all the best. But on a style note - you are so adorable here that no one would notice if you hadnt told us so! Life is constantly in my way, I feel you. Your cocktail ring is STUNNING! I hear you Shanna - life has been so busy for me lately too that I have not been posting as much. I just need to make sure to take care of my real life things too. P.S. I hope you will join my TBT Fashion link up this Thursday. You look stunning lady, love that little dress I am tempted to walk over to Francesca as soon as possible. I know exactly what you mean! I've had to back off a little from the computer too because real life has been so busy. Life should be this way though. Your dress is so cute, I just love the way you've styled it for fall. Trying to balance time is always tough! You look adorable...love that blazer and the fun print of your dress! Been there and will be again soon! But we get it and understand. No need to even say anything. I just love that dress with the blazer and the mix of the boots with it all. Great look! Love your jacket, great color. Very cute outfit. Love this look, friend! So comfy, yet stylish!! Love you! Adorable! I played a little catch up this am - I see the weather is fab where you are as well. That happens to me WAY too often...not having a ton to say. Loving this outfit, though. The blue blazer is perfect! Still totally crushing on the blazer! Love that blue blazer. It is gorgeous with your coloring. What's to say anyway? Your style speaks for itself, Lady! Such a cute combo!! Love the dress with the leggings and then the blazer just gives it that something extra! Love! You are exactly right! We have all been there a time or ten or 100! Totally have been feeling the same way the past couple of weeks with my blog, but have decided that what I have to give right now is my best, and that is fine. I have to accept my limits and not apologize for them. On a style note, you look absolutely stunning! 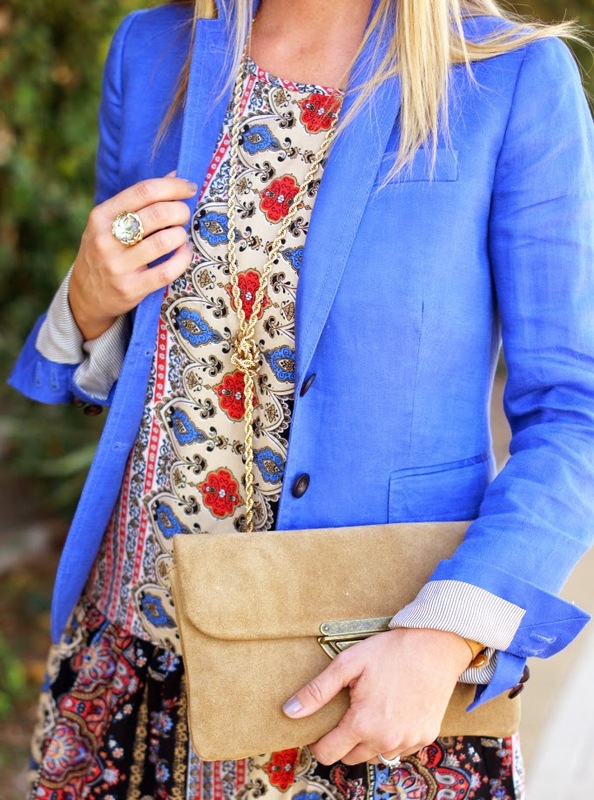 Love how you transitioned this piece for fall with that gorgeous blue blazer! BTW...I second what Dawn Lucy said above! Your style speaks for itself! Amazing! Living life lady - that's what we're here to do! I hope everyone's doing well back to school! sometimes life is just a stream of thoughts, your life is super busy! but I still love reading about it! and love this outfit- the blue is perfect. Totally understand! I'm in the same boat.. real life is totally taking over my life, haha. You are looking gorgeous as ever, love this tunic. Happy October! I love those booties and blazer. And yes it's hard to do everything at once, but as you said family always comes first. WE all have those moments. I totally get it. Like you said, that's real life. :-) Love your outfit today. Very cute, especially that blazer and hat! Beautiful! You always have quality posts. It's ok to sit down and take some time to get all great thoughts together. Love your outfit, you look great as usual. Absolutely beautiful as always! I love the pop of blue against the tunic. I'm totally impressed by all that you do as a mom, wife, and blogger and I still want to raid your closet because you always look amazing! Yes! This is exactly how I feel. Don't get me wrong, it's good that life is getting in the way of blogging. We're supposed to be living it, not just writing about it, right? Of course you were at least able to put it together in an organized post, where as I just avoided it. Ha! Very cute ankle boots! That blue blazer is gorgeous on you! You look so great in a drop waist! Sometimes I don't have anything to say either, so why force it, right? GIRL....THIS IS STUNNING. OMG...blue is your color! I want to steal this whole outfit from you! And I feel ya on the busy mom schedule! 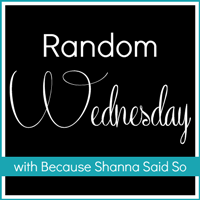 I honestly don't know how I ever blogged 5 days a week! And I only have one kid!!!! YOU are a rockstar. Miss you! I wish I was half as stylish as you.. And could pull anything and everything off! Loving this dress so much! It looks fabulous paired with that blazer. Sometimes blogging does get pushed to the back burner, but you've got an outfit to share and that's half the battle. Love the ring you are wearing so much - it's a total show stealer! Such a cute look, I am wearing a floppy hat today too. I love the linen blue blazer. Totally agree with life catching up with you, You effortlessly still manage to do it all! When you can't find anything to say, let the outfit do the talking! And this dress is saying "I'm fun a fabulous!" You look great! Cute outfit! I love the hat, I'm still debating on if I should jump on that wagon yet and just buy one. I did want to say that I can totally see a difference the invisalign has done on your teeth so far...looking fab! Although you have always looked great! I do have a question, I'm actually moving to Austin in December and I have a consultation with one orthodontist down there for invisalign but would like to see who you use in case this consultation doesn't work out. I'm going to be living pretty much in downtown so if your doc is way in the suburbs then that would probably be too far for me. Thanks! !